Rosie's Bakehouse started as a small bagel cafe by native New Yorker Rosie Sheehan. Upon moving to Ireland, Rosie was unable to find the authentic bagels she grew up with. So Rosie developed a range of bagels from a traditional NY recipe, using no additives or preservatives. The product range has expanded to include burger buns, hot dog buns and brioche buns. 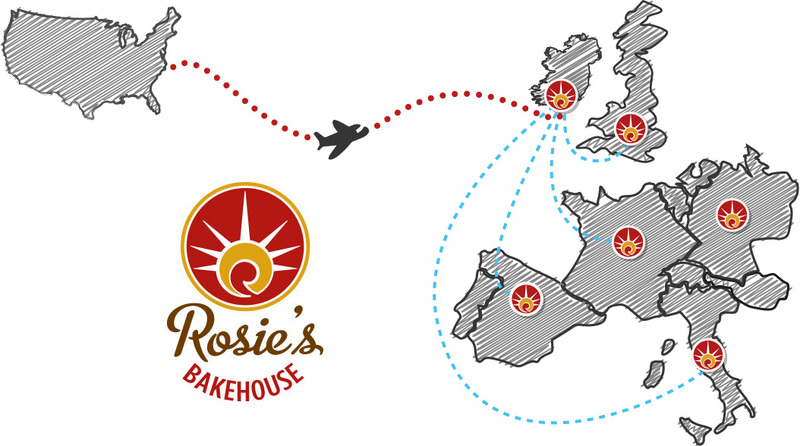 And now Rosie's bagels and other bakery products are shipped throughout Europe.